The Human Resource process in companies lives with two different perspectives — one is about enhancing the process efficiency and the other is about adding to the employee’s satisfaction. The VCA HR software implements robust approaches to reduce the unrelenting workload of the HR professionals and to minimize the employee turnover rate in small business organizations. This cloud-based HR software is designed to help small businesses in reducing operational costs and boosting employees productivity, ensuring complete data-security at the same time. With VCA HR software, it’s the time to put the disruptive technologies such as Artificial Intelligence (AI) & automation to work. Be it organizing, managing or keeping the entire employee data protected, VCA allows even small businesses to deploy technological solutions to perform diverse HR tasks. It is a cloud-based HR software which offers, to the Human Resource professionals, agility and flexibility to perform entire operations from anywhere and anytime, using even smartphones. It improves the efficiency of the process by making it fast and accurate without involving much capital investment. With VCA, the time has also come when even small businesses can go beyond the conventional belief that technological solutions can only be afforded by Large Enterprises. 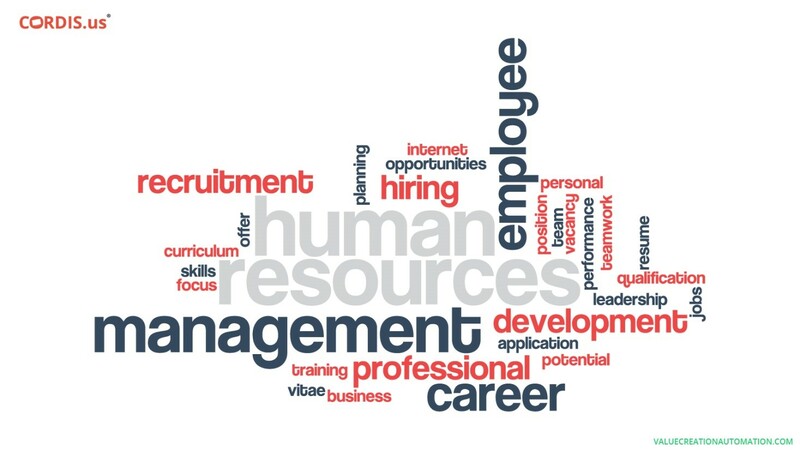 Reasons that Make VCA the Best HR Software for small businesses? VCA is a unique HR software. It consists of advanced features that beat many of the complex ERP suites. It is designed with a visual dashboard, which records and reports every single information in the real-time. Now the HR Managers and other team members do not have to maintain the employee’s record manually. VCA generates automated notifications when an employee has to be rewarded or promoted. Following is some of the main reasons, which makes VCA the best HR software for small businesses. Is an End-to-End HR Process Automation Solution - Right from the shortlisting of candidates, On-Boarding of employees to their termination or retirement — every single task is automated. This makes the processes fast as well as also reduced the error-rate in the process, resulting in the complete accuracy of tasks being performed. Helps in Developing a Healthy Relationship with Every Individual Employee - VCA integrates the entire HR process and brings the details of the diverse tasks and other various functions at the fingertips of business leaders. Designed with a visual dashboard, the HR professionals can view the details of every individual employee, even when they are not in the office. With enhanced transparency, it becomes uncomplicated for the HR managers to reward the deserved ones and also in identifying the non-performing employees. Allows HR Professionals to Enhance Skills with the Innovating Technologies – This cloud-based HR software is designed to evolve with the perpetually innovating technologies. The software application is upgraded and updated at regular intervals and this allows HR personnels in brushing up their skills as per the new process requirements. This supports the efficient functioning of the companies HR team even in the long-run. 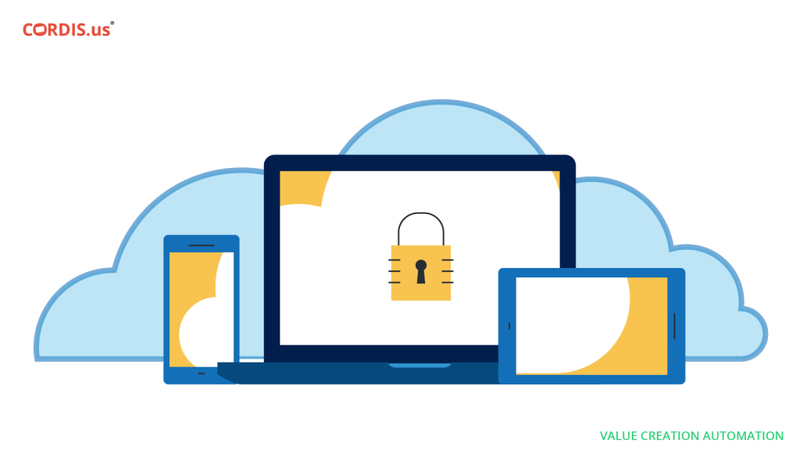 With Data Saved in the Cloud, VCA Ensures Complete Security - Fast processing of data and its security has always been a matter of concern for the HR team members. Offering cloud-based solutions, VCA ensures complete security of entire data pertaining to employees. It saves the data with encrypted security layers. The HR Managers can download reports and other relevant documents anytime and anywhere, even using electronic devices such as smartphones and tablets. Performing Tedious HR Tasks Becomes Uncomplicated - VCA enables the HR professionals in super-fast calculating and processing of the information. With this, it becomes uncomplicated for them to prepare the payroll every month end. Moreover, sitting right at their workstations, they can complete the tax filing formalities for the employees. This also helps companies in abiding by the government regulation drafted for the human workforce and therefore support in ensuring complete compliance. How VCA HR software boosts employee satisfaction? The high employee turnover rate is one of the major problems in small businesses. And, it significantly impediments the stable performance of companies. Let’s see – How VCA HR software helps small businesses in retaining employees by enhancing their satisfaction level? Besides automating the entire HR workflow, VCA also provides employees with an integrated platform. 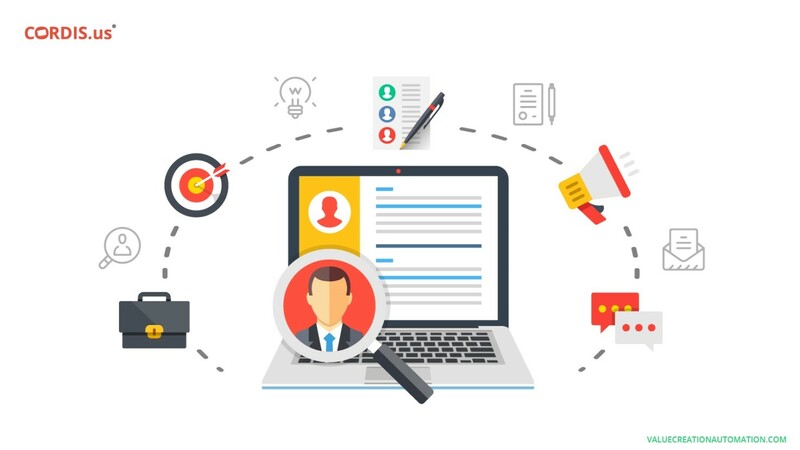 It allows them to have an instant access to the complete information pertaining to their job profile, performance review, ratings, appraisals, promotions as well as leaves, bonuses, company policies and the other employee benefits. The integrated platform, which puts the entire information at the fingertips of employees, can be viewed even on smartphones. Therefore, employees can quickly access all sorts of information anywhere and anytime. The VCA HR software helps businesses in setting up a smooth communication flow. It means, now employees do not have to knock on the door of the HR team for every little problem. With VCA, companies can have an integrated platform, which supports both horizontal and vertical communication platforms. It means, if employees believe that their respective HR business partner is not able to provide them with a satisfactory solution, they can directly approach the HR Director or to any other senior authority. This helps employees in getting an instant solution to their problems. Therefore, VCA enhances their satisfaction level and keeps them encouraged to put their best effort while performing diverse business tasks. Developed by Cordis Technology, Value Creation Automation (VCA) is an advanced HR process automation software, which streamlines tasks & other various functions. It is one of the best HR software for small businesses because it allows performing successful HR operations in low capital investments. Without having to invest in the installation of hardware and software or in building servers within the office premises, small businesses can perform diverse tasks with almost zero capital requirements. Moreover, VCA is the HR software application, which can be subscribed on the Pay-Per-Use basis, further reducing the operational costs by a great extent. Incorporating the perpetually evolving technologies such as Automation & Artificial Intelligence, VCA allows small businesses to grow and evolve consistently. With a robust HR process and satisfied employees, the small businesses can successfully achieve the common organizational goals. It can significantly support in enhancing the productivity of employees as well as in gaining competitive advantages.